In May the House of Ideas launches it’s ‘Heroic Age’ which promises a return to telling stories of, well, a more heroic nature. Back in May 1979 my family entered it’s own new era, namely one with me in it. That said, I reckon nothing ‘birthed’ under or near the Taurean flag is ever doomed to fail. 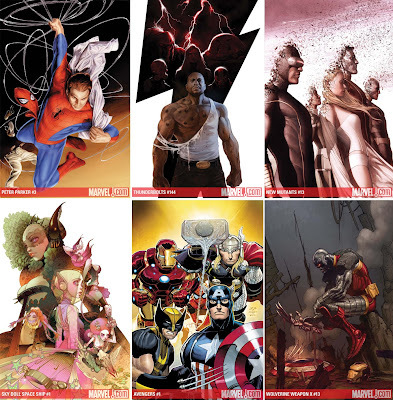 When it comes to Marvel’s May new releases, these covers turn that theory into a fact.